The region I have defined as Central Scotland stretches from Stirling in the south to Inverness and the Great Glen in the north, the area including the Central Highlands of Scotland, with its magnificent mountains, heather moors and wooded glens, its peaty moorland lochs, high corrie lochans and long glacial lochs offering fine fly fishing for truly wild brown trout, from both boat and bank. 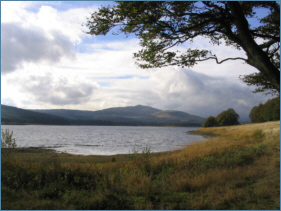 Here we have such famous brown trout fisheries as Loch Leven and Carron valley, the beautiful lochs of the Trossachs and we mustn't forget the renowned river trout fishing on the Don, Tay and Tummel. 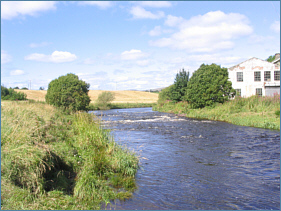 The map below shows the main trout fishing centres in central Scottish mainland, in the highland counties of Perthshire, Stirlingshire, Aberdeen, Fife, Argyll and Inverness. Clicking on a red dot will take you to a page showing detailed maps of each of the main trout fishing areas in central Scotland with additional information on the fishing available. 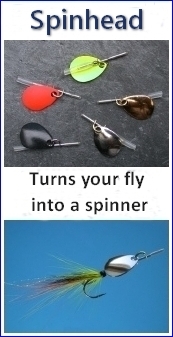 For more information on the the marvellous trout fishing available on the central Scottish lochs and rivers, including detailed maps, please select a trout fishing area by clicking on a red dot on the map or on a name in the list to the right of the map.